The combined effect of temperature (15°C, 20°C, 25°C, 30°C, 35°C, 40°C and 42°C) and leaf wetness duration (0, 4, 8 12, 16, 20 and 24 h) on infection and development of Asiatic citrus canker (Xanthomonas citri subsp. citri) on Tahiti lime plant was examined in growth chambers. No disease developed at 42°C and zero hours of leaf wetness. Periods of leaf wetness as short as 4 h were sufficient for citrus canker infection. However, a longer leaf duration wetness (24 h) did not result in much increase in the incidence of citrus canker, but led to twice the number of lesions and four times the disease severity. Temperature was the greatest factor influencing disease development. At optimum temperatures (25–35°C), there was 100% disease incidence. Maximum disease development was observed at 30–35°C, with up to a 12-fold increase in lesion density, a 10-fold increase in lesion size and a 60-fold increase in disease severity. This work was supported by FAPESP (Brazil). We thank Dr. Júlio Rodrigues Neto (Instituto Biologico, Campinas, SP, Brazil) for supplying the isolate IBSBF 1421. Gottwald, T. R., Graham, J. H., & Schubert, T. S. (2002). Citrus canker: The pathogen and its impact. 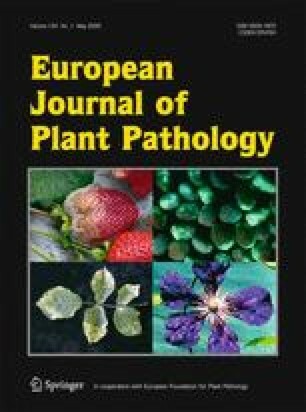 Plant Health Progress, published online. doi: 10.1094/PHP-2002-0812-01-RV.